My guest on today’s show is John McIntyre aka The Autoresponder Guy. He is an advanced email marketing specialist who uses sophisticated behavioral re-engagement funnels to lift revenue by as much as 50%. On this podcast, John shares a truly comprehensive wealth of email marketing tips for online retailers! Starting off with The Bucket analogy to set the scene, The Autoresponder Guy then goes on to explain in detail some of his advanced email capture and campaign strategies specifically for ecommerce. We then run through how to approach three different online retail business types, before talking about personalization and transactional email marketing automation platforms you should and shouldn’t be using. And to cap it all off, John shares his consultancy’s 7-Step Checklist to Email Marketing Success process that can be used as a blueprint for your very own email marketing strategy! The traffic, the customers, and the money that website’s generating comes into the bucket and every store has holes in their bucket: leaks that can be plugged. A lot of people plug that with one email and that’s like putting some sticky tape on there but that’s nowhere near as good as several strategic emails. You can set up several automated email campaigns that just go on running for you and generating more and more money. And then you can use e-commerce software to track and compare the revenue from each of those campaigns. Companies should really be doing a lot of outbound marketing like bringing people to the site with advertising and having a landing page. But at the very least, is to have various ways for people to sign up on their website. A pop-up that shows up immediately or 30 secs after someone arrives, making a relevant offer. It could be a discount coupon or buyer’s guide or a course. An exit-intent pop-up when someone goes to leave the website is a great time to make a final-ditch offer because otherwise they’re gone. This would be a good time to make a discount offer. Also another optin of some sort somewhere on the site, whether it’s on the sidebar or the footer. But don’t just say, ‘Sign up to our newsletter for free tips and advice and coupons and….’ That’s vague and no one really cares. You need to make a very specific offer. Maybe a small percentage of people will buy straight away, so if instead they sign up to your email list, now you have them as a lead. And now you can make them buy more over time. Say for example you’re selling pianos: because of the high price point, a lot of people aren’t going to visit a site and buy straightaway. So one of the best things you could do is get them signed up onto the database. I wouldn’t be that inspired by a coupon, but I would be inspired by something that’s going to explain how to get the absolute best piano possible at the best price. I would create an offer like that to get them into the database when they visit the website. And if they visit any of those pages you can then add them to custom email sequence automatically that then sells them specifically on that piano. Instead of just selling pianos, what you should do is either go and manufacture some products or go and get some products that you can sell that piano players are going to be interested in. Or go and do a partnership with someone so you can sell their products. So even if they only bought once every 10 years, there’s still a lot of things that you could do with email to increase the convergence just to get that first sale. In a situation like a fashion retailer, what matters is the relationship that you have with the audience. So instead of always selling and always pitching them, I would start to build a relationship with them. I’d probably create a blog on the site with some personality. Then every three months you’re obviously going to run some sort of promotion launching the new line. Maybe for the first week you give 5% discount and then after that it just goes to the normal price for the next three months. Now with your email marketing nurture sequence, instead of always promoting, what you’d be doing is pointing people to the blog. It could be videos on how-to wear a dress, or how it’s made, or the inspiration to this season. Engage them with content that educates them about the clothes and gets them inspired and excited about them. Look for all the different holes you can plug, so obviously you’re going to want to add your cart abandonment. You can include custom automated campaigns around your most popular or featured items. When people visit a page, an email gets sent to say this is the one that’s been the most popular this season, here’s what Sarah said. Some of the audience are going to be price-sensitive and looking just for a cheap price, so they’re going to be interested in a discount. Some would also want to find out what’s the top five headphones this season? So you can have a buyer’s guide for your optin gift with different price points from low-end to luxury, all of which you stock. Some people are going to buy straightaway, some are going to buy a week or two later, some people are going to buy a month or two later. And so you just always want to be staying top of mind with an email sequence. Every time that you send them an email and you mention a product or something, it’s another opportunity for you to link your website and have them click over. The best thing you could do in an ideal world is to provide an individualized sales funnel for each potential customer. To emulate that and create that same sort of personalization in the way it operates is where I like to go to something that I’ve been calling behavioral re-engagement. What behavioral re-engagement means is basically re-engaging the people who have visited your site based on their behavior. A simple example of this is a cart abandonment sequence. On a very small level you’ve got a sales funnel that’s real-time sales funnel evolution. It’s evolving on-the-fly to how people operate. For example, rather than treat all your products the same, you can create marketing campaigns around your top products where if someone visits the page of your top number one product you send them and email saying you noticed that they had a look and give them a buyer’s guide to help them make a decision about the purchase. Then send testimonials. Then finally (exhaust all other incentives first) a discount at the end if they still haven’t made a purchase. It sounds simple enough, but where those things sort of things really excel is because they’re engaging people based on their behavior, on how they operate on your site. I wouldn’t recommend Aweber or Infusionsoft or any of those. The reason why is most of those products are not designed for e-commerce so you’re not really getting get value from them. If you really want to increase the revenue by like I said, anywhere from 10 to 50%, you’re going to need something that’s quite a lot more advanced. Remarkety and Klaviyo. Klaviyo service smaller companies in the $1 to $5 million revenue range. Remarkety is one where you can login and you can see various campaigns all done by revenue. If you want to bigger, Bronto, though that’s more expensive. For starting behavioral re-engagement campaigns or marketing automation in the general sense, size of database is irrelevant. What matters is revenue. And there are many companies with sizable revenue that are just leaving money on the table because they think they don’t need email marketing. If you are looking for an email marketing specialist, you really want to look at their track record, and with they’ve done in the past. You don’t want to find someone who’s learning as they go or just figuring it out. Email 1, Why didn’t you complete your check out? Link. Email 3, Did you receive your product? They get the highest open rates of ANY emails you send. That means lots of eyeballs. So, optimize away. Recommend your top 1-3 products in your order and shipping confirmations. Make customized recommendations in their shipping and order confirmations based on what they bought (either by creating separate confirmation emails for each category in your store, or using something like Remarkety.com). With software like Drip you can trigger campaigns when someone visits a specific page. So, instead of just cart abandonment, now you can email someone after they visit your top product page and ask them why they didn’t purchase. Great for high-traffic product pages. This is the advanced version of the browse abandonment trigger. If someone visits your top #1 product page and doesn’t buy, put them on this campaign. If someone hasn’t opened, clicked or responded to an email in 30-60 days, automatically trigger this campaign. Read the book by Perry Marshall called 80/20 Sales and Marketing. It’s not specifically about e-commerce, but it will give you an understanding of how to sell. How the sales funnel process works and why email is powerful and why optimizing all these steps is powerful. Drip email marketing software. It’s designed to be event triggered. Any event you can track on a website or app or something like that, you can trigger emails off. And what’s great is it’s really, really easy to set up. I find Asana really useful for team management. And I put everything in Evernote. I’m setting up a new site right now which is going to be all dedicated to focus in on email for e-commerce and behavioral re-engagement. And it’ll be up by the time this goes live so it’s ReEngager.com and anyone can contact me through there. But every store has holes in their bucket. And most still have a lot of holes and they haven’t done much to plug them. Just throwing out a discount in your abandonment sequence..is not the best way. Don’t just say, ‘Sign up to our newsletter for free tips and advice and coupons and….’ That’s vague and no one really cares. If you’re selling a product where someone’s just looking at the cheapest price, you don’t really need much text. You just need to tell them what the price this. So you’re really just looking for excuses to communicate. Because the more you communicate with them, the more likely they are to buy. So when I say resell, you resell them on the product they just bought so they’re less likely to ask for a refund or return it. Email marketing, if they’re not doing it, or they’re doing a very doing a very poor job of it… this could be huge. 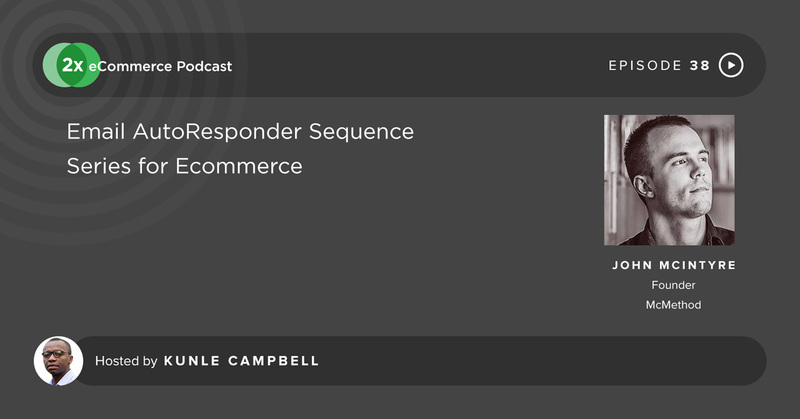 On this episode of the 2X eCommerce Podcast Show I am going to be talking an ecommerce email marketing expert called The Autoresponder Guy. He’s an email marketing automation expert here to talk about how to drive up your customer retention and sales using behavioral engagement funnel campaigns. Do stay tuned! Kunle: Hi 2Xers, welcome to the 2X Ecommerce Podcasts Show. I'm your host, Kunle Campbell and this is a podcast as usual dedicated to rapid growth in online retail for ambitious online retailers looking at scaling. Scaling by 2X, scaling by 5X, scaling by 10X. You're on the right show. And as usual I hand-pick the guests that come on this show, wo share their expertise and experience based on criteria I have. And that criteria is, 'Can my guest help you guys through insights that they provide, improve metrics such as your conversions, average order value, repeat customers, traffic, and ultimately sales?' If they can then I try my best as usual to get them on the show. Right, now on today's show we're going to be talking all about email marketing for e-commerce. And this is not just broadcast emails. This is really sophisticated marketing automation emails based on triggered behavior by your customers or visitors on your site. My guest on today's show is a gentleman by the name of John McIntyre, who is also called The Autoresponder Guy, and for good reason. He runs an email marketing consultancy focused on the implementation of advanced email marketing programs for a wide range of businesses, including online retailers. And what they pretty much use to execute these advanced email marketing programs are behavioral re-engagement funnels, and he's going to talk about what that means, on the show. He's also going to kindly share his consultancy's email marketing process they use for their e-commerce clients, which I'll be sharing in the show notes. You will be able to use this process as a checklist, either by yourself or just handed over to a staff member to implement. John McIntyre also runs a popular podcasts called The McMethod Email Marketing Podcast. You check it out. And I think it's about time I introduced John to the show. 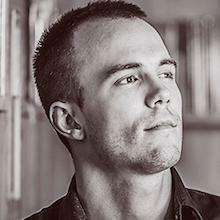 Without further ado, I'd like to welcome you John to the 2X Ecommerce Podcast Show. Welcome to the show, John. John: No worries, it's good to be here mate, thanks for having me. Kunle: Good stuff. Could you take a minute or two to tell our listeners about you, please? John: Sure, sure. So I got started a couple years ago, basically with an email marketing agency and working with a wide variety of companies. Anyone from selling software to e-books to just anything really, some e-commerce companies as well. And what we've been doing this year is focusing on the e-commerce, just because there's so much potential there to help these stores out. You've stores doing sometimes $10 million, $20 million, sometimes more than that and some of them don't even do any email marketing. And if they're doing it, they're doing a really bad job it. So I've decided to focus in on that and now I've put together a program and a process that is specifically for e-commerce. Kunle: Good stuff. I've come across your program and it's fantastic you're in e-commerce because there's a lot of growth now and a lot of things are happening in e-commerce. From your perspective, where are you seeing the most exciting changes in e-commerce and growth? What kind of industries or what kind of e-commerce models are you seeing you know a lot of change in the right direction in your opinion? John: I think that I mean, drop shipping right now is how a lot of people get into it. I think that's just exploring more and more. You've got people on Amazon, people just doing it with their own websites and I think that's an exciting trend. Because what's happening with all that is people get started, they make a little bit of money. And a certain percentage of them are going to keep going with it, and they're going to keep pushing further and they're going to build serious businesses with it. Whether with drop shipping or whether they're going to end up manufacturing their own products and putting something together like that, but they're going to end up moving from a business that doesn't produce much revenue at all to doing businesses that are doing $1 million a month. I've seen it happen with friends of mine. And it's really exciting, so there's a lot of opportunity for anyone who wants to get into e-commerce, and is also a lot of opportunity for anyone who wants to work with e-commerce store owners. Another one of the other really exciting areas in this is Amazon. Because I've met plenty of people who are selling on Amazon, and they're getting more sales via Amazon than they are via their website. And I've even heard of people who, they've got multiple seven-figure businesses that are doing at least $2 million or more, and it's all driven on Amazon. So they're not doing any advertising. So the only marketing they do is gaining the Amazon ranking algorithm. But Amazon delivers all the traffic because it's one of the product, it's the biggest product search engine on the Internet. Kunle: Interesting. Do they FBA on Amazon or do they run right from their warehouses? John: It'd be both. Some people will be doing the FBA, some people are doing it by via their own warehouse. Kunle: Awesome. Good stuff. Okay, let's talk about you. From your profile, you live in Australia at the moment and I think you also lived in Philippines. Where you based? And tell us a little bit about you and your philosophy on locations and things like that. John: Yeah. So I've had a sort of a interesting story in the sense of... I grew up in Australia in Sydney. In 2011 and left Sydney to go to the Philippines for basically I took up the role of a marketing director at a chain of beach resorts. So it was a great gig, I got to live on the beach. John: Yeah, scubadiving and basically I was talking to resort directors, making sure people were booked into the resorts, updating the blog, all that sort of stuff. And while I was there, obviously get a taste for the travel and taste for the lifestyle and decided I have to figure this out and start my own business here. So taught myself some marketing and copywriting stuff launched a marketing agency. And within a few months was generating some good money and then moved off to Thailand. Lived in Thailand for almost three years. Left there in February this year. Went to the US... well I went to Singapore first for some banking. Then went to the US to speak at a conference. Then Canada to get some work done and go snowboarding. And then was down at Necker Island to me Richard Branson for an event. John: And now I'm in Columbia, Medellin, just because it's a good time zone to be on for doing business with the United States. Kunle: Absolutely. That's amazing. You're a nomad, you're a nomad. Okay right cool. And there are two sides of your businesses. One's education and training I believe, and the other is a 'done-for-you' service. Could you expand a bit on that, please? John: Sure, sure. So as the business has grown, there's sort of two sides, two main segments of that audience, people that come to me. And one segment is people that, some of them are complete beginners, they're not making any money at all and they've heard about email marketing and how it's going to make the money. So you've got those people. And you've also got the people who have a business that makes maybe $100,000 a year. And $100,000 once you take out... that's revenue, then you got it pay your own salary and then you've got your margins on your products, whether you're doing e-commerce or anything else. You might end up with you know maybe $20,000 or $30,000 after that, I mean you've got to live off that. Kunle: Unless there's a side-gig, it doesn't really make. [laughs] Well, you've got to start from somewhere. John: Exactly. You know a lot of them, one day they will be people who are making half million dollars or $1 million a year. So they're good people to help. And so what I did is I created basically a suite of training products on different aspects of email marketing and because up until now I think I've mentioned earlier I'm focusing on email marketing in general for a wide variety of companies, the training's currently focused on that in general. So I've got stuff on copywriting and how to set up a 10-email autoresponder sequence, how to tell stories. Sort of just general email marketing stuff for anyone that wants to learn how to do it themselves. Now on the Done-For-You side, over the last few years I worked with all sorts of different businesses. So, software businesses, whether they're selling some sort of app in the cloud or something like that where they need an auto responder to sell it. Worked with like e-commerce guys who, one guy was selling keyboard covers, another guy was selling skipping ropes, some interesting stuff. And then a lot of people doing information of services, so selling you know so I sell a service. And so they might be selling video production for startups. You know one guy was doing explainer video for startups. Really high-end explainer videos. So I've worked with a wide, wide variety. And the Done-For-You comes in several different flavors. It can be anything from someone comes in and they just want some coffee, that's all they want. They just want me to sit down, write them some emails and send them back so they can send them out to their list. And then other times someone wants a complete solution. So they want copy, they want software, they want the whole thing set up and the campaign launched in the wrap, with no input from them, they just pay the money and it gets done. Kunle: Okay. I have a question with regards to the education and training resources. Are they evergreen courses or do you launch them at specific times of the year? Kunle: They're evergreen, okay. All right, and they're online, you could access them from your website? Kunle: Okay, which is TheMcMethod.com. Okay, then with regards to the services in the email part, which I'm more very specific about, or which I'd really like to find more about it... what kind of e-commerce services do you offer there? What kind of work to do with e-commerce businesses, please? John: Well I think one way to think about this is, think about like a bucket and you're trying to fill up the water. And that bucket is a website or a sales firm with an e-commerce site. Someone visits the site, they navigate around, they find different categories, they add products to their cart. Maybe they buy, maybe they don't buy, maybe they sign-up for a discount. Now you've also got people who do end up buying, though maybe they don't buy a second time because well, maybe they never got asked or maybe they forgot about it or maybe you're not getting reviews properly. So basically you've got this bucket and the traffic and the customers, the money that website's generating comes into the bucket. You know, fills it up like you might try and fill it up with water. But every store has holes in their pocket. And most still have a lot of holes and they haven't done much to plug them. Now they think oh well, we're just going to drive some traffic from might be AdWords, might be just Google organic traffic, it might be some Facebook ads. And they think they're just going to throw some traffic at the site, have like a nice optimized Shopify or Magento, something like that and they're going to make some sales. And yes, they will make sales but they won't need be making anywhere near as many as they could be. So what you've got is you've got a bucket with a whole lot of holes. And a classic hole, I'd say a decent company's usually going to have this, is an abandonment sequence. That would be one example of a whole in that bucket. Where someone is visiting the site, adding something to their cart, going to the checkout and then leaving. Because for whatever reason they can't do it. They got distracted because their wife came in, or maybe their daughter came in and grabbed their arm and wanted to show them something. Or maybe they got a phone call. So that's a hole. And a lot of people plug that with one email. And so therefore that's like plugging the hole with maybe a bit of sticky tape, putting some sticky tape on there and hoping for the best. A little bit of water will still get out because I don't think one email is anywhere as good as three or four emails, especially when you add simple strategy. And a lot of people only do... they just drop out a discount. But then a discount will often devalue the product and can have other negative consequences down the line. So just throwing out a discount in your abandonment sequence this is one way to do it, but it's not the best way. And so that's one example of a hole in an e-commerce business's funnel. The funnel being the way that someone buys. So what we do is I'll come in and I'll set someone up with a... there's really two sides to it. You've got basically several automated campaigns that you can set up. Depending on the store, you can set up set up tons of that. So you might only need to set up four or five, but depending on the setup at the store or the products that you're selling, it really depends on the context. You might need to set up 10 different campaigns or 15 different campaigns. And these are all automated. So once they've been set up, they just go on running for you and generating more and more money. The really cool thing about this is, I remember I was looking at some e-commerce software last week that I think we're going to start to package with our clients. You can login and they just track the revenue per campaign that you sent out. So you can just login and look at all the different revenues. And I remember looking in and you know you've got this campaign here it's doing $80,000 or something like that. And just being able to login and see each campaign laid out, say here's a campaign, here's the dollar. This campaign's $60,000, this one $95,000, this one $50,000. And that is, I imagine, this is why I want to use the software, I think we're going to white label it. Kunle: It's about visibility is there, yeah. John: The ROI is there, yeah. Kunle: Absolutely and the ROI is there, just in your face. So I'm guessing there are two aspects of email marketing. One is the capture part. And the other is the sequence and the messaging. You know, what happens when you capture the emails, how do you communicate with clients or your customers when you have their email address, having a conversation with them. Do you also consult in the email capture and what would you do if you do that? John: Absolutely. So we'd be assisting or we help people with the entire thing. So everything from getting people on into their database, to making them buy down the line. So as far as getting a line, I mean this is going to vary again. It's going to vary based on how aggressive you want to be, based on the marketing you want to do. And the best example of this was a sweepstakes company that I chatted to I think it was last week. And they're doing $20 million a year in sales, they're doing a good job. So about 40% to 50% of their revenue is via email marketing actually. Doing really, really well with email. And where they succeed is that... other companies that are in their space that are only doing say a couple million dollars year, and the reason they're at 20 is because they are very, very aggressive about their marketing. And they don't just use AdWords and have a pop-up on the site for when someone visits. They're on Facebook expanding and getting three cents a click to get people to a site to sign up to some sort of... basically it's a funnel. So you create a landing page with some sort of sweepstakes style game and when you fill out the game to get your coupon or whatever, you have to sign up and put it in. Now so they're doing a lot of outbound marketing like bringing people to the site with advertising. Now a lot of companies aren't going to do that and so they're probably not going to have as much use for... I mean, they should do that, most on his companies won't, they're not going to have as much use for say setting up a landing page like that. What companies should do, what every company should do is at the very least have a variety of ways for people to sign up to the database on the website. To start with you've got your pop-up, which everyone knows what a pop-up is. Show it up either immediately or say 30 seconds after someone arrives and make them some sort of relevant offer, which it can be a 15% coupon or it could be something else. It could be like a buyer’s guide for something. I've got another friend who does like a 21-day campaign that busts some of the myths around the products that he sells. So like if you have a product that maybe there's a lot of misconceptions around it or it's a bit controversial, you could probably put together some sort of guide or some sort of course that explains these myths. So it's going to vary based on what you're doing. But a pop-up isn't the only thing you can do. What I would also do is set up what's called an exit intent pop-up which is different in that it only appears when someone goes to leave the website and it's a great time to make a sort of final-ditch offer because otherwise they're gone. That would be a good time to make a discount offer. You can also, I would also be having something somewhere on the site, whether it's on the sidebar or at the bottom... and the problem that most people, most companies that I see make with their email optins is... this is what you should never do, is don't just say, 'Sign up to our newsletter for free tips and advice and coupons and....' That's vague and no one really cares. You need to make a very specific offer. And that's where a discount offer can work. When you say, 'All right, sign-up, we'll send you a coupon for 10% off or 15% off,' that's very clear that that's exactly what they're going to get when they sign up. If you say we're going to send you a 37-page buyer's guide on the product, you know like all right well that's great, I know exactly what I'm going to get. And so you've gotta be very specific. So don't use the whole free newsletter, free updates, free blog, you know that's just lame. It's not going to work as well. So then it's just looking for other ways to put them in. You could have a pop-up, well not really a pop-up but an optin section in the bottom section of your website in the footer. Another one you can test is you can use different plug-ins. SumoMe is one of them. It's going to pop up as someone, like when you scroll down the page, it's going to slide up from the bottom. I mean someone might say well you know, devil is different, you know email mechanisms on the site isn't that going to stop people from buying it? It's like, if they actually want to buy right now, probably not, but even if instead they sign up to your email list and they don't buy straightaway because maybe a small percentage will do that, now you have them as a lead. And now you can make them buy more over time. Kunle: You know as you alluded to earlier, they're in the funnel. You're trying to get them in the funnel, at the top of the funnel, and then it's left to you with the messaging to guide them through to a sale. Awesome stuff. Okay, so three scenarios. I have three scenarios here in e-commerce and there might be a few others but these are my three scenarios. One scenario is a retail business with a very high average order value. Say they're selling pianos or wooden flooring. Chances are they're only going to sell that once, ever, maybe once in 10 years or maybe once in 20 years before they think about making a change. Second scenario is like a fashion retailer where they have a new offer in every season. So pretty much every three months. And then third scenario is a specialist retailer, say maybe headphones or iPhone or phone covers, something like that where there is a potential for you to sell once a year or once in two years. How would you address email marketing in each of these three scenarios? Say, starting off with the high order value. John: Okay, so with the high order value one thing that you're going to have is a lot of people aren't going to visit a site and buy straightaway. Because it's a high price, right, you're buying a piano for $10,000. It's not something you're just going to jump on. Even if it's $1,000 it's not something that you just going to visit... it's not a throw-away purchase. You're probably going to want to think about it, maybe talk to your husband or wife or kids or whoever. And so one of the best things you could do in that situation is get them onto the database, right? They're probably not going to be that pushed by.... you know I'm a musician so I wouldn't be that inspired by a coupon. But I would be inspired by something that's going to explain how to get the absolute best piano possible at the best price. I would create an offer like that to get them into the database when they visit the website. And then once in the database you can start using different campaigns to sell them different, for example, pianos. You could have a nurture sequence which goes through and teaches them say, how to find the best piano at the best price... best-sounding piano at the best price. Then you could also start pointing them to the best products on your site for that. And if they visit any of those pages you can then add them to custom email sequence automatically that then sells them specifically on that piano. Now that would be the first thing I'd do. The second I would do is, if your only selling pianos and you're not selling say, piano tools or music books or metronomes, anything that a piano player might need, then you're missing out on a large source of revenue and profit. So instead of just selling pianos, what you should do is either go and manufacture some products or go and get some products that you can sell that piano players are going to be interested in. Because that's additional money for you. Or go and do a partnership with someone so you can sell their products. Yeah, stools, metronomes, music books, maybe other musical instruments that piano players like to play, recording devices, all sorts of stuff like that. These are all ways you could add money to every order. And this is stuff that people are going to buy, like music books. Maybe they could sign up for a music book subscription when they pay $100 a month. Just different ideas like that, they're always ways to maximize the revenue per order, even if people are only buying once. And the other thing that I alluded to before with that first step is that people who buy, even if they only bought once every 10 years, there's still a lot of things that you could do with email to increase the convergence just to get that first sale. Kunle: I really like that in terms of like you're hacking their business model. So you might start off by creating email sequences but you might give them alternative ways to actually drive in more revenue. Very interesting. Okay let's move into fashion retail. So a scenario where basically your entire inventory, almost your entire inventory actually changes every three months because it's quite seasonal, for all four seasons. How would you approach or how it's you advise fashion retailers listening to this show on how to go about email marketing/capturing automation? John: So I think this is at the opposite end of the spectrum. People with fashion, they want to buy the new shirt or the new dress, the new whatever every three months. Some of them are going to want to buy every single time it comes out. So I think in a situation like this what matters is the relationship that you have with that audience. So instead of always selling and always pitching them, I would start to build a relationship with them. I'd probably create a blog on the site. Add a personality to it, so put a face to the blog, it could be the owner of the company or it could be someone else. Just some sort of personality. You know obviously if it's a men's company you'd use a man, if it's a woman's fashion you'd use a woman. And then every three months you're obviously going to run some sort of promotion where you're going to launch the new line. And then maybe you do like a promotion for the first week where you give them all like a 5% off discount and then after that just goes to the normal price and sits like that for the next three months. Now what you're doing with your email marketing thing is you're still getting people on to the database, but what you're doing with the nurture sequence is instead of always promoting and always just promoting the same products, what you'd be doing is pointing people to the blog. It could be videos on how-to wear a dress or something, or how it's made, or the inspiration to this season. And so you'd be engaging them with content that educates them about the clothes and gets them inspired and excited about them. And along with all that, you look for all the different holes you can plug, so obviously you're going to want to add your cart abandonment. Maybe if you've got a line of new clothes, maybe one or two of them are going to be like the most popular ones or just the ones that most people are going to want to buy, or the ones that the most work went into... just the main feature that range. You could then have custom campaigns just like with the pianos. When people visit a page, and you obviously know that they're interested now in that thing, you can then send them an email that says, 'Hey look, this is the one that's been most popular the season.' This is all automated. But you can start to say this is the one that's been the most popular this season. Here's what Sarah said, and then you send them a testimonial. Kunle: What's your opinion, you know in InfoWorld it's pretty much established that text-based emails work best, especially with marketing automation, everyone's doing it. But for e-commerce, from your experience with the clients you're working with, are you seeing for HTML emails/graphic emails, or are some segments in email marketing actually doing text emails? What's it looking like and what would you advise e-tailers to adopt? John: I think again, it depends on... it’s all context dependent. So, if you're selling a product where someone's just looking at the cheapest price, you don't really need much text. You just need to tell them what the price this. On the contrary, on the other hand, if you're selling a product that requires... like a piano... I would use more copy with the piano because it's a higher purchase price, it's a much bigger decision, and so I would take the time to educate them and talk to them about. So it wouldn't necessarily mean that you have to have really long emails, but it's just that copy is more useful when it's a more complicated purchase decision. And, if you're selling a product that people often get confused about, like I said anything that's controversial, anything that people might be a bit skeptical of, that's when copy becomes useful. So it depends why people are buying it. Are they buying your stuff because it's the cheapest? Are they buying it because it's the most prestigious? Are they buying it because it's you know, for some other reason. And so when you understand that, then you can start to understand well what's the sales process, what's the best strategy we can take to sell this product? Kunle: Okay. That makes a lot of sense. Okay, what about the third scenario, specialist retailers selling maybe headphones or phone accessories that probably get people to purchase... an average customer purchases once twice a year, or once or twice in two years... How would you go about communicating, first of all with a lead who has not yet purchased? And, an existing customer, to nudge them to purchasing more? John: Well, first of all you'd want to be getting people onto the data base. I think this is partly going to be people who are... some of them are going to be price-sensitive and their going to be looking just for a cheap price, so they're going to be interested in a discount. But they're also going to be you know, if I was looking for headphones I'd love to find out you know, what's the top five headphones this season? If you can tell me that then I'm actually really interested. And you can have it for different price points. So here's the top five luxury headphones you know, $300 and up. But you can also have, here's the top five headphones for $50 and below. And you so you could have different things like that and then, of course, you stock all of those different headphones. So when someone signs up for the list, you offer them this buyer's guide, 2015 Buyers Guide To Headphones, and they sign up, they get that. And then based on what they did they're much more likely to purchase. And, some of them are going to be buying those expensive headphones. Now, that would be with the prospects sequence. And as far as like how you'd sell it... because you'd send them the guide and then you just walk them through it. Because a lot of people think, 'Once I send them my e-book, what'll I do after that?' Well, what you can do is... a lot of people aren't going to read that e-book... They're just going to flick through it, maybe they don't pay much attention to it. So you can, you know in email #2 say something like, 'Have you checked out the headphones in the buyer’s guide? Number two, the second one in the $50 - $100 category is XYZ and it's amazing because of this...' You just copy and paste whatever's in the book to that email. And so you can start to use the email... So you're really just looking for excuses to communicate. Because the more you communicate with them, the more likely they are to buy. Every time that you send them an email and you mention a product, and you mention your company, and you mentioned something, it's another opportunity for you to link your website and have them click over. So if you've got this buyer's guide, you can email them once a week, twice a week, and just check in on them. Some people are going to buy straightaway, some people are going to buy a week or two later, some people are going to buy a month or two later. And so you just always want to be staying present. So when they're ready, when they go yeah, now I want these headphones, my current ones just broke, you know they're ready, you're the first person they think of. The first company they think of when it comes to headphones because you're the one that's been nurturing them and giving them some great information and being fun and cool and not being too... not being annoying, you don't want to be annoying. Kunle: Very interesting. It's all about being top of mind, top of mind, top of mind. So when they're ready of to purchase they just cut your name on Google and just get through to you. Awesome, okay good stuff. You know I've always wondered, I've always liked to ask an e-commerce expert on their thoughts on personalization. What are your thoughts on this personalization movement, pretty much, this trend on personalization and how do you think email marketing can benefit from personalization? Have we maxed the personalization as a technology, out? Or are these just the start starting blocks, really, or is this just the starting point in personalization? What are your thoughts? John: As far as like just putting someone's name in the email and saying, 'Hey John', 'Hey Kunle' like it's just, I mean everyone knows that it's just all automated, it doesn't really mean anything. I haven't seen any conclusive evidence anywhere that using someone's name like that increases conversions. Everyone has a different opinion on it. However, I think as far as the personalization goes it's a very valuable tool. And the reason why is that in an ideal world, when it comes to sales and marketing every single person that comes towards your business, enters your business vicinity, would get a custom funnel. So they would have a sales funnel that's catered to them, like a one-to-one sales funnel. Now the problem with that is, if you getting 10,000 visitors to your site every month, it's going to be quite hard to create 10,000 funnels, partly just because that's a lot of finals. And you don't know what every single person's like. So you don't really have the ability to customize it to that degree, but that would be an ideal world, you'd be talking to each single person having a one-on-one conversation the same way a salesperson does. And so when you think about it like that, if you could do that would be the best thing you could do. It's like, well how can you emulate that and create that same sort of personalization in the way it operates? And this is where I like to go to something that I've been calling behavioral re-engagement. And so a lot of people think, like marketing automation... So marketing automation's interesting, it's a very technical word. A lot of people don't really understand what it is. Behavioral re-engagement is a lot easier to understand from like, how to set it up and also from the benefits of it. What behavioral re-engagement means is basically re-engaging the people who have visited your site based on their behavior. A simple example of this is a cart abandonment sequence. If someone visits your website, adds something to their cart, visits the checkout and then leaves, they've demonstrated a certain behavior and now you can use technology to follow up them, to re-engage them based on that behavior. So on a very small level you've got a sales funnel that's real-time sales funnel evolution. It's evolving on-the-fly to how people operate. Now the cart abandonment sequence is just one really simple example. And it's very unsophisticated because a lot of companies do this. Now like I said, you can actually do this a lot better than just one email. So a lot of people do it, but they don't do a very good job of it. Another example of this is, if you did like that 80-20 distribution or 80-20 analysis of the products on your site, you'd probably find that your top, you know you have one, two, or three, maybe five products that get almost all the traffic. And so what you can do it is usually people treat all the products the same as far as how their marketing goes. You know maybe they put the most popular ones on the homepage or something like that. But what you can do with email marketing is you can create campaigns where if someone visits the page of your top number one product, maybe there's a complicated purchase thing, you can then add them to a campaign and say, 'Hey look, we noticed you visited this page. You're interested in this product, but you obviously didn't buy it so we put together some information together for you so you can make a better decision.' And then so you might have some testimonials in there, you might have... obviously there'll be a discount at the end of it... Yeah testimonials, maybe a story about a customer about how they used it. Maybe sort of like a step-by-step guide on how it works. Maybe a buyer’s guide as well like the reasons why you know, how to choose a product in this category, how to make a good decision. And then like I said, the discount, that you put the discount at the end, not the start. So you try and get them first with non-discount related offers. And then you follow-up at the end with the discount if they still haven't purchased. Now it sounds simple enough, but where those things sort of things really excel is because they're engaging people based on like I say, their behavior. Based on how they operate on your site. Kunle: So pretty much create funnels that will be triggered on certain actions which you deem quite high value. Kunle: Exactly, and then you just try and perhaps just look at your top 10 or whatever your top... you get maybe like 10 or 20, whatever number, and then you start to put that sequence of how you'd like to re-engage with them, you know when the take for instance, you have a high-value category page and then you could... So you could send emails based on that, if they visited that category page or product page. Really, really good stuff. Behavioral re-engagement, I'm going to read more on that after this call. Okay. What about in e-commerce, your email platforms of choice, from an e-commerce standpoint? I've heard a lot about, in the InfoWorld again, Infusionsoft and Mailchimp. But in e-commerce, what transactional email marketing platforms which you recommend and suggest, please? John: Well, I wouldn't recommend Aweber or Infusionsoft or any of those. The reason why is most of those products, they're not designed for e-commerce. So you're not really getting get value from them. You can do like a straight auto responder sequence when someone signs up to the site. But if you really want to increase the revenue by like I said, anywhere from 10 to 50%, you're going to need something that's quite a lot more advanced. And you're don't want something that tracks everything incorrect. If you go and use Aweber to do this you're not going to have any idea what's making money for or not. What you want to do is go and get... I'm looking in too right now, and we're actually about to... I'm considering putting together my own software for this, just to give all this customization... But you've got Klaviyo and Remarkety. Not to give you an idea, what sort of level are your listeners is at in terms of revenue? Kunle: Midtier, from $1-$50 million. John: Okay. So you've got, so these would be two: Remarkety and Klaviyo. As far as I spoke to them, I spoke to the remarkably last week, I'm actually speaking to Klaviyo today, they're doing a demo of their software. They're servicing companies towards lower end of that range, maybe the one to five million, one to ten million. But you could go in there and Remarkety is one where you can login and you can see various campaigns all done by revenue. So you could login and see the 10 automated campaigns that you have and look at, this one's done a 150 thousand dollars, this one's don 500, this one's done 50. And so it gives you a very, very quick look at you know whether it's working or not. Klaviyo is very similar. Like I said I'm doing a demo today so I haven't actually seen it yet. But you can go in there and look at, it's very much the same thing. You can just track the revenue from all the different emails and campaigns that you have in there. Whether they're broadcast campaigns like a newsletter, or an automated campaign. Now if you want to go to something bigger, one thing that I was looking at also last week was Bronto. 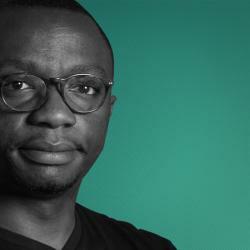 Kunle: Bronto, yes! The big daddies aren't they. Quite expensive, though. John: That's the big one, yeah. Yeah, so you got Bronto, they don't... we might work with them in the future, right now we're not. But Bronto is the big, as far as I understand it, it's the big heavy-getter in the industry. Kunle: I've have had some guests on here that use Bronto and they only have good things to say about Bronto. But the cost of entry is quite high. Okay. Kunle: Then, with regards to size of database, what's a sweet point for starting either behavioral re-engagement campaigns or marketing automation in the general sense? John: Well I'd say the size of the database is, I think it's rather irrelevant. Because what matters is the revenue. If you are doing $50 million a year, and you are not doing much email marketing right now, you're doing a poor job of it which I'm still surprised at how many companies are doing a poor job of it, with sizable revenues right. I've heard of a $20 million company, so they sell product a bit like the piano, it's not a musical instrument but it's something that people might buy once every 10 years. They're doing $20 million a year and they're not doing any email marketing, because they don't believe they need to do it. So they're sitting on a couple million dollars probably, spare like just revenue, just leaving it on the table, just throwing it away into the fence. Just because they think it's a waste of time. And I just can't believe that. So yeah, I would look at your revenue. If you are doing $50 million year and you're looking at, if you were to be conservative let's say 10%. You're looking at $5 million increase by sending out some really proper advanced email campaigns. Now obviously if you are down to $1 million a year, 10% is going to be a hundred thousand dollars. So then it's just a case of, let's say let's pick $15 million. Something that's a little bit higher, you know it's not super low, not super high; $15 million times 10%, you're looking at $1.5 million revenue potentially via email on the low end. It could be a lot higher than that. I could mention this other company I spoke to earlier this week are doing $20 million a year and almost half of that, 30 or 40% is via email marketing. They're doing really, really well with that. And so if you're looking at $15 million and you get 10% with email marketing, that's $1.5 million. Then it's just a case of what's it going to cost you to invest or what's it's going to cost you to set up a campaign like that? And you've got a few different options. You could hire someone like me to set it all up for you. But you've also got, you could hire an employee for that. Because I've a feeling that $1.5 million might bring you in, you might be able to hire an employee four 60, 70, 80 thousand dollars a year. The challenge with, I'm finding speaking to, to hire decent employees is if you have a marketing scheme or some sort of marketing person trying to set the email marketing up themselves and they don't specialize in it, it's not going to be done very well. You really want a specialist. So if you can find an email marketing specialist, that could work really well. But you really want to look at their track record, and with they've done in the past. You don't want to find someone who's learning as they go or just sort of figuring it out. Kunle: Yeah, so for a client of mine I advise them to get someone like you to train them. I asked them to get like a champion, a project champion in their company who'd be responsible for email marketing and then you know go through like an extensive three-month training, basically on the weekly call basis to get them up to speed and get feedback from the email provider so they could actually learn it and they own that part of the business. Yes, so they're working on that right now. You talked about a checklist prior to, we were talking about this checklist you have a 7-Point Checklist for email marketing in e-commerce. Could you expand on them real quickly, share the entire outline you sent in the show notes? John: We'll go through it quickly. Number ONE is cart abandonment. Now all of these have basic and advanced. So basic current abandonment is one email, which is what most people do. Advanced is going to be three or four emails. You know Email 1 is why didn't you complete your check out. Email 2 is maybe some social proofs and objection handling. Email 3 might be a story from a customer you know. Email 4 is your discount. Number TWO is a lead capture sequence. So that's where someone signs up. You're going to basically prospect nurture. Where they sign-up to the database and you get them to buy with various emails. So a basic version of that is four to five emails which is a, 'Welcome, here's our featured products.' Maybe some social proof. That's really it. Advanced is where you have, basically you can have like a welcome email. Our Email 2 is always, 'Did you get our email?' If you can get two replies to your emails you'll skip the spam promotions folder. Email 3 to 10 can be, and obviously this is going to vary like we talked about depending on what products you're selling. So it's going to be a mixture of content, stories, social proof, brand-building; again it depends if you're selling something that's really about price and less by the story. I would have an automatic promotion Email 11 to 14, and then Email 15 onwards it's just more of the same. Just always staying top of mind. Number THREE is your post-purchase campaign. Your basic version of this is you know, 'Welcome to the family, thanks for your purchase.' Email 2 might be you know, 'Please leave us a review.' That's very, very basic. Advanced, you're going to want to split first time customers and repeat customers into two separate campaigns. Then you've got more... I mean you can do this in different ways. You've got a welcome email so the instructions are in an Email 2, or resell. So when I say resell, you resell them on the product they just bought so they're less likely to ask for a refund or return it. And you also reinforce, you know, you get rid of buyer’s remorse. Email 3, 'Did you receive the product?' Email 4 is a review. Email 5 and 6 is cross-sell. Now, these are just sort of basic campaigns that I brainstormed when I put this together. And you can do this, there's so many different ways to do this. This is not a perfect way to do it. The more targeted you can make it, you know the better it's going to be. Number FOUR is order and shipping confirmations. And the reason these are good is they get the highest open rates of any emails you send. And these are your transactional emails. That means a lot of eyeballs. So what you want to do is, on the basic side of it, you can recommend your top 1 to 3 products in your order and shipping confirmations. On the advanced side you want to make customized recommendations based on what they bought. So you could probably like, depending on what category they brought their product in, you could recommend top product in that category. So that's a really good thing that I feel a lot of people don't do. Or they have on their list and they never get around to it. Kunle: Especially given the open rates there. John: Yeah. Number FIVE we've got your browse abandonment triggers. That's instead of someone... Cart abandonment's when they add something to the cart, they go to the cart, they start checking out, and then they leave before they pay. A browse abandonment trigger is when they visit a page and they don't buy. So your basic version of that is just Email 1, 'Here's a discount.' The advanced version is really what I call custom funnels, which is Number SIX. And this is where if someone visits your top number one product page and doesn't buy, you put them on this campaign. So you got Email 1, 'Why didn't you buy?' Email 2, 'Did you get our email, please reply.' Email 3, 'Here's the top three objections. Email 4, social proof, maybe a successful case study. Email 5, a last-ditch discount. Now that's going to vary. If you have a complicated product like a piano, maybe you want to expand on it a little bit and take more time to do it. And if you've got a very simple product, it's really just about price, then maybe you want to hit them a lot harder, a lot faster. Kunle: And would you space these emails and over a week or would you even think about longer time period? John: It depends, again it depends on the price. If it's a piano probably I'd space them out more because it's an expensive purchase. Kunle: Because some... well, in the UK there are a lot of firms and money-saving tips where they say go into the cart and abandon it and then you get a discount. You know, they advise on that. And so people have sort of reverse engineered how shop shopping cart abandonment actually work. So if that discount comes on the same day, you pretty much fall for it from a merchant standpoint. But I guess if you delay it like over a week, just especially if they need it almost immediately, then they'll forget about it and purchase. John: Well yeah, I mean if you are selling to people who are going to add something to their cart and then, like they've figured out the cart abandonment, you’re selling to price-sensitive people. If they’re that fussed about it. And so in that case, the discount is really you know, it's important. I don't think that's necessarily a bad thing. You'd rather that they buy that way than not buy at all. So you got your custom funnels, Number SEVEN is re-engagement sequence. So if someone hasn't opened, clicked, or responded to an email in 30 or 60 days you trigger a campaign that says, on the basic side, you've got, 'We've missed you, here's a discount.' On the advanced side you'd have Email 1, 'We've missed you,' no discount. Email 2 is a deep discount to reactivate. Something that's just like a complete no-brainer offer. Email 3 is a unsubscribe notice that says if they don't respond they're going to be unsubscribed. Email 4 is you unsubscribe them. Literally unsubscribe them and then give them a last chance to re-subscribe, there's a link to be. So that's sort of just a, yeah, it's a basic checklist of what's good. It doesn't cover everything. But it's a good starting point for people who wanted to a more advanced email marketing program. Kunle: For all you DIY guys listening, this is pretty much a blueprint to start off email marketing the right way. So I'm going to definitely share this list, it's quite comprehensive, on the show notes. Okay. Final set of question evergreen questions. What one piece of advice can you give to midtier e-tailers keen to grow their commerce ventures? John: Start some email marketing and do it properly. I think like, and I see this everywhere, this is not just with e-commerce. I've worked with all sorts of business people and entrepreneurs and companies. And it's amazing how people don't do, they don't take this stuff seriously. Because they think it's, a lot of people have this guilt around email like, 'I don't want to send emails, it's spammy, people don't like it, or it doesn't work anymore,' and they think it's all about Facebook and social these days. And all of those things are wrong. There's stats out there, I've seen studies that show email is still, like it delivers more ROI per dollar spent than any other channel, any other medium and that's including social, that's including AdWords, that's including everything. Email is still out on top. And so I think it's absolutely incredible that people don't do this. I think the best thing, especially with a store which is a midsize store. Email marketing, if they're not doing it, or they're doing a very doing a very poor job of it... this could be huge. I mean this is, we're talking millions of dollars a year in extra revenue by setting up some of these campaigns. And it's not going to cost millions of dollars a year to set these campaigns up. Kunle: Absolutely. I mean in e-commerce there are two key conversions. If you don't make the sale, capture their email. That's just the rule. Okay, so if you could choose a single book or resource that's made the highest impact on how you view building an e-commerce business, and growth, which would it be? John: I would probably go to a book by Perry Marshall's called 80/20 Sales and Marketing. And it's not specifically about e-commerce, but what it will give you is an understanding of how to sell. How the sales funnel process works and why email is powerful and why optimizing all these steps is powerful. And I think the best example of this is this company I mentioned I spoke to last week. They're doing $20 million and their competitors are probably doing two or three. And the reason these guys are the 20 million, you know they're 5, 6, 7 times bigger then the nearest competitor, is because they've learnt how to use these marketing funnels and how to advertise and how to go out and get customers. I mean they're not selling like a high ticket product, they're not selling a thing that is going to make them a lot of money per thing. But they're doing a really, really well with it. And I think that really comes back to understanding that sales process. Too many people in e-commerce I think, it's just sort of set up a store and run some ads out and sell some products. But you can do that, you'd make some money but if you really want to blow this up, you've got to dial in the marketing funnel aspect of it. Kunle: And it takes a lot of time. It also takes copywriting, studying your inventory, trying to match things together. It's hard work. It's hard work, but the dividends actually pay off. Okay, what about your three indispensable day-to-day tools? John: Indispensable day-to-day tools. Well, you'd want an email marketing tool. For my business the training business and the consulting is, just really the agency business, I use Drip. Which is an email marketing software, that I use. Kunle: Why Drip? Why not Aweber, why not Infusionsoft? John: Infusionsoft is more... it's bloated. Everyone I've spoken to is usually frustrated with it. It's slow, it's clunky, it's hard to use. Aweber is too simple. Aweber is going to be like 10 years old, they're stuck in the past. They're not really updating the software properly. Don't use Aweber. I use Drip because, it's new, it's done by a guy I know who's a software guy. And it's designed to be event triggered. Any event you can track on a website or app or something like that, you can trigger emails off. And what's great is it's really, really easy to set up. So some of the stuff that I've set up with Drip, I've asked people about Infusionsoft how they'd do it and they said that it would be a complex, you know it would just be a complete mess of a process just to try and figure out how to do it. So I use Drip. But I think Drip would probably work fine for an e-commerce store because you can just trigger all your campaigns based on the events that people have. However, you're going to be better off with something like Klaviyo or Remarkety, or some software I think we're going to be putting together in the next few months. You want email marketing for e-commerce software if possible. As far as other tools, I use Asana. I find Asana really useful for team management. And I use Evernote. I put everything in Evernote. Kunle: Same here, same here buddy. What about ActiveCampaign, is it any good? Someone suggested it and I was like, I don't consider it's much. John: I was speaking to someone about this last week and they were telling me that ActiveCampaign it's not good for e-commerce because it doesn't store data properly. I have to talk to him more to find out the specific details, but he's another guy like me, another e-commerce guy, and he does not like using ActiveCampaign at all. John Kunle: Finally, how could our audience who want to know you better reach out to you? John: So what I'll do, I'm setting up a new site right now which is going to be all dedicated, focused on this email for e-commerce behavioral re-engagement, all this stuff. And it'll be up by the time this goes live so it's ReEngager.com. Kunle: I'll share it in the show notes. Guys, if you're listening, this outline I have, the checklist is fantastic. And to go deeper into this I would suggest that you check out John's training programs on marketing automation, especially in regards to e-commerce. John it's been an absolute pleasure having you on the show. Thank you for coming on. John: Thanks for having me Kunle. It's been good. Kunle: All right. Cheers buddy. Bye.